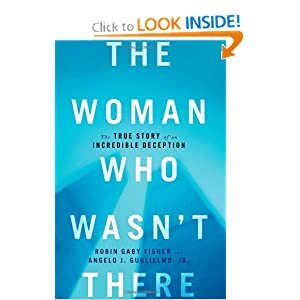 “The Woman Who Wasn’t There” by Robin Gaby Fisher and Angelo J. Guglielmo, Jr. is a true, chilling story that comes to my mind each time I think of that terrible day of 9/11. I just cannot believe that a human being is capable of playing with fragile emotions of survivors of 9/11. It’s pathetic! I just couldn’t put this book down because Tania’s audacity to do what she was doing was mind-boggling. There are so many questions that I wish Tania would answer. Why did she do this? What was she thinking? Does she feel sorry now? Did she apologize especially to Linda? After I read the book, I had to look at Tania’s photo online. I really want to watch the documentary now.